American foreign policy toward Europe is merrily rolling along the path of least resistance in the belief that nothing is really amiss with the European-American relationship that multilateralism will not fix. Not true, contends Sarwar Kashmeri, who argues instead that the alliance is in intensive care, cannot be fixed, and must be re-negotiated to accommodate Europe's emergence as a major power. A kind of United States of Europe, with foreign priorities different from those of the United States, has arrived at America's doorstep. But America still forges foreign policy for Europe using Cold War realities; both Democrats and Republicans expect the European Union to fall into step and report for service as needed-under American leadership. Europe, however, has other plans, and as it becomes more powerful on the world stage, competing visions of European leadership have emerged. Kashmeri offers prescriptions for forging a new alliance based on a"special relationship" with the European Union. 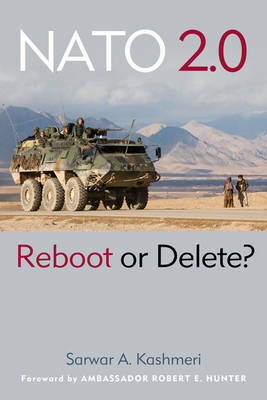 This agenda is inspired by those leaders who spoke to the author specifically for this book, among them former president George H. W. Bush, former British prime minister John Major, James A. Baker III, Wesley K. Clark, Brent Scowcroft, Paul Volcker, U.S. senator Chuck Hagel, and Caspar W. Weinberger. With a foreword by Theodore Roosevelt IV, the managing director of Lehman Brothers, a New York investment banking company. 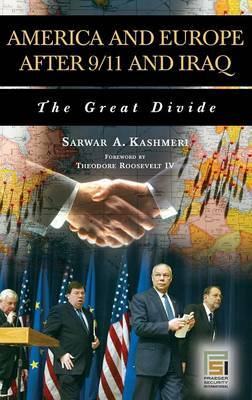 Buy America and Europe After 9/11 and Iraq by Sarwar A. Kashmeri from Australia's Online Independent Bookstore, Boomerang Books.